The life of an active shin hanga collector is full of dates to remember: conventions and fairs, live auctions, mail auctions, internet auction closings, travelling dealers, museum exhibits, gallery exhibits and sales, and special events. While this page cannot keep you informed of each new event, it does list certain regular venues, auction houses, and other contacts to stay in touch with. If you know of an event of interest to serious collectors, please send your news to our calendar focal point Phil Roach, who has provided many of these listings. Semi-annual shows typically held in March and September. Annual fair typically held in October. Recently had 35 exhibitors, with some Japanese print dealers, incl. 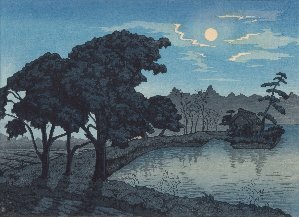 shin hanga. Annual fair typically held in November. Annual show typically held in October. Annual(?) show, typically held in April. but check with Paragon's occasional listing of Asian Art exhibitions. London: Japanese Art, 3 sales per year. To purchase a catalogue for any upcoming sale or for information on how to order catalogue subscriptions, please contact (800) 395 6300 or (212) 636 2500 in the Americas or (171) 389 2820 in the United Kingdom, Europe, Asia, Australia or Africa. This auction house specializes in books and graphic arts. They occasionally auction off collections of books on Asian art. This firm often has shin hanga prints for sale. Also see Paragon's occasional listing of Asian Art auctions. It deals with Meiji (and later) book frontispieces known as kuchi-e. They are the forerunner of shin hanga and contain a few well known artists and lots more not so well known complete with seals and signatures. 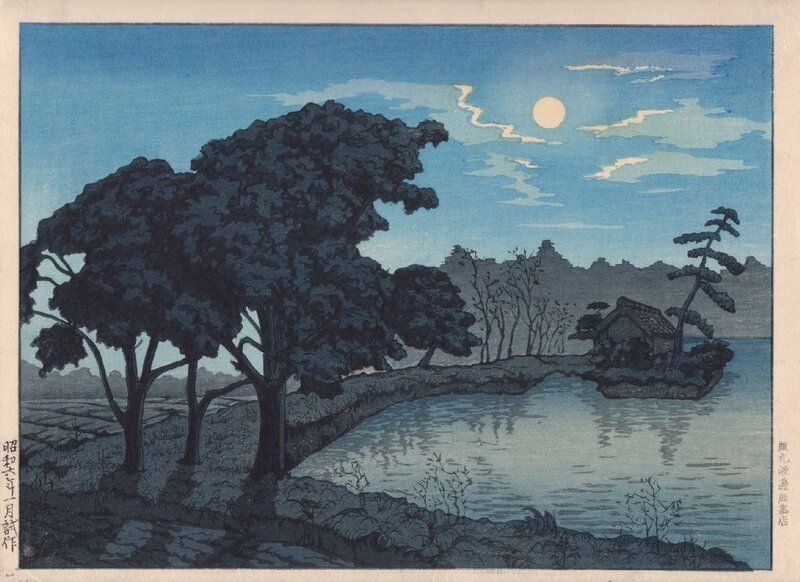 One well known artist is Kaburagi Kiyokata who was the mentor of Hasui, Shinsui, Shiro and others. A well done book. Highly recommended. Cost is around $50.00 US. Lists mostly Japanese prints, many shown in color. Catalogs often supplied free on request. Catalogs have usually been available for sale. The Shin Hanga Skull & Bones Society (TM). Copyright � 1999-2004. All rights reserved.